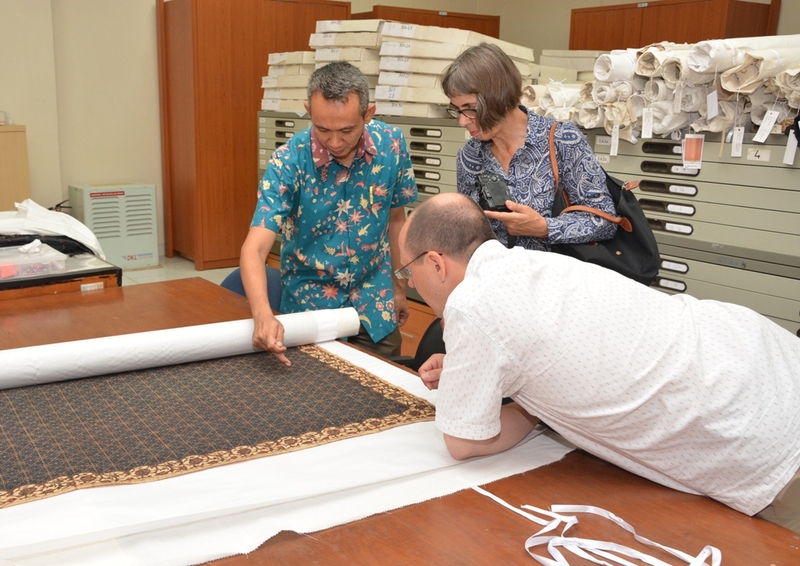 The Curating Batik event in Jakarta marks the first of several activities being organised as part of a study of Batik collections in selected museums in Asia and Europe, towards the set-up of a permanent Batik gallery at the Weltmuseum Wien in Vienna, which is currently undergoing extensive renovation and will re-open in 2017. Participating museums include the Weltmuseum Wien (Austria), Museum Tekstil Jakarta (Indonesia), Náprstek Museum of Asian, African and American Cultures (Czech Republic) and Museum der Kulturen Basel (Switzerland). These museums are members of the Asia-Europe Museum Network (ASEMUS), a network of over 100 Asian and European museums supported by the Asia-Europe Foundation (ASEF) since the year 2000. 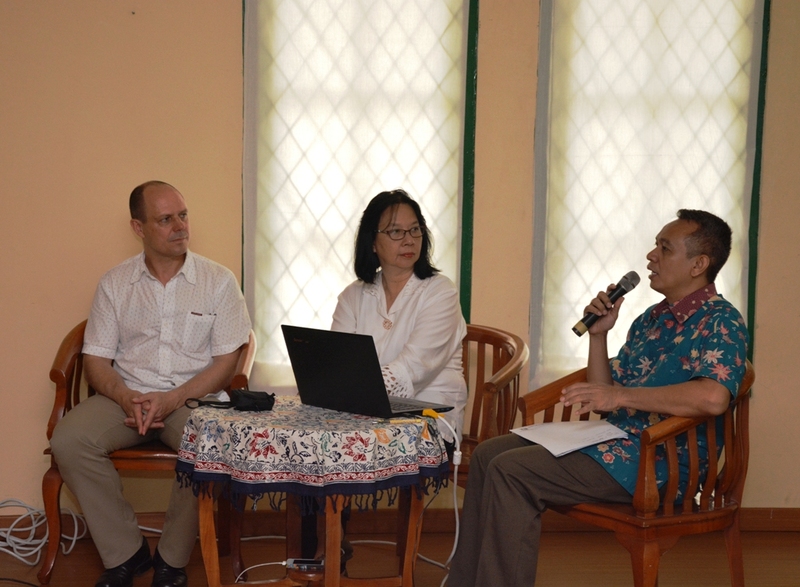 Through the ASEMUS platform, curators from the above-mentioned museums met and discussed their respective collections. The more they compared and shared, the more they learnt about from each other’s collection and the areas in which they could benefit from each other’s expertise. The result is the Curating Batik project. This year, curators from Austria, Czech Republic, Indonesia and Switzerland have planned to meet for a series of workshops and study visits to exchange ideas and visit Batik collections towards giving inputs to the shaping of the Batik gallery at the Weltmuseum Wien. 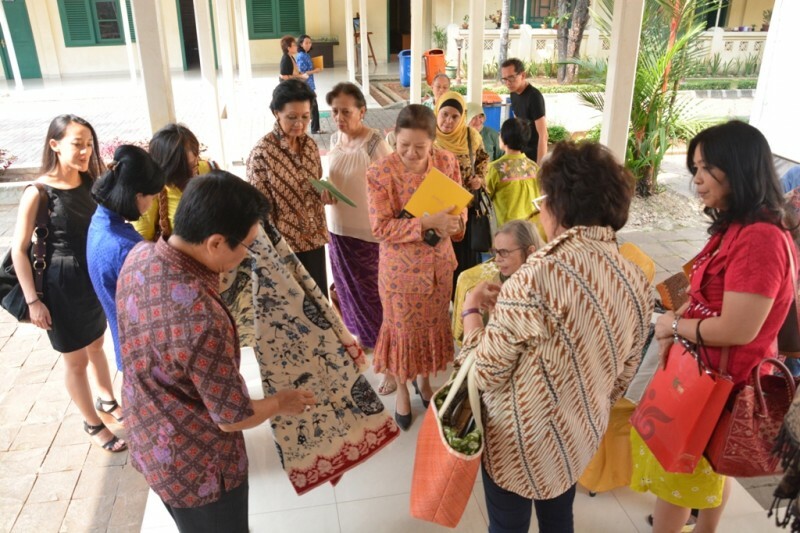 Curating Batik is a concrete example of the impact of networks that the Asia-Europe Foundation (ASEF) promotes; the idea of connecting people, sharing knowledge, exchanging information, and building partnerships. Curating Batik was selected through the 2nd edition of ASEF Creative Networks, an ASEF initiative that encourages collaborations among networks in order to reinforce the dialogue between cultural professionals from Asia and Europe. The collaboration with Museum Tekstil Jakarta has provided the curators opportunities to explore the museum’s rich collection and exchange information. Benny Gratha, a loyal volunteer at Museum Tekstil Jakarta since 2005, has been serving as an informal curatorial assistant at the museum. Through these years, he has built up extensive knowledge on Batik through ‘Museum Tekstil Jakarta’s permanent collection which is one of the most comprehensive collections in the world of a broad range of Indonesian textiles including warp and weft ikat cloths, batik, embroideries, beadwork and multifarious appliqué techniques, tapestry weaves, supplementary warp and weft textiles and from all over the Indonesian Archipelago. The Museum continues to grow and develop to respond to the needs of its visitors. Periodically throughout the year, it cooperates with private collectors and various institutions in holding short thematic shows in between its regular displays. Dr. Kwan believes in the importance of raising awareness among the locals to cherish their heritage and preserve it. The best way to do this is to prove the impact of creative workers on regional unemployment. He has also been organising workshops for local artisans, organising a platform for exchange, and featuring their beautiful crafts. The support from ASEF under the ASEF Creative Networks 2nd edition enables the curators from Indonesia to travel to Austria, Indonesia, Czech Republic and Switzerland. There, the curators will take on residencies and study as well as identify the Batik collection in each museum. They will also share their extensive knowledge through a number of workshops. Moreover, they will provide consultation on the selection of artefacts for the permanent Batik collection at Weltmuseum Wien which is due to open in late 2017, and the upcoming exhibition at Museum Der Kulturen Basel in 2016. The curators from both museums are open to the idea of collaboration, co-research and co-funding, and are willing to hold further discussions for potential collaboration.